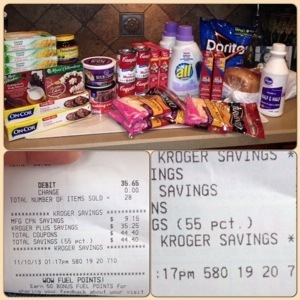 If you have a Kroger in your area, this week is a great time to stock up on a few staples! Check out our Kroger Mega Event tips! page and get your savings on! I saved 55% on this shopping trip! We would love to hear about your savings too!